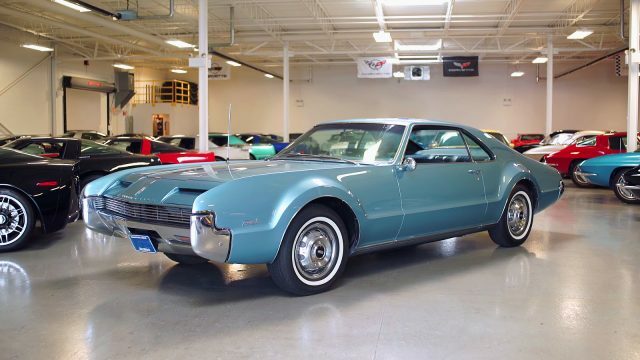 The 1966 Oldsmobile Toronado is one of the most prestige, and luxurious American cars from the 60’s. 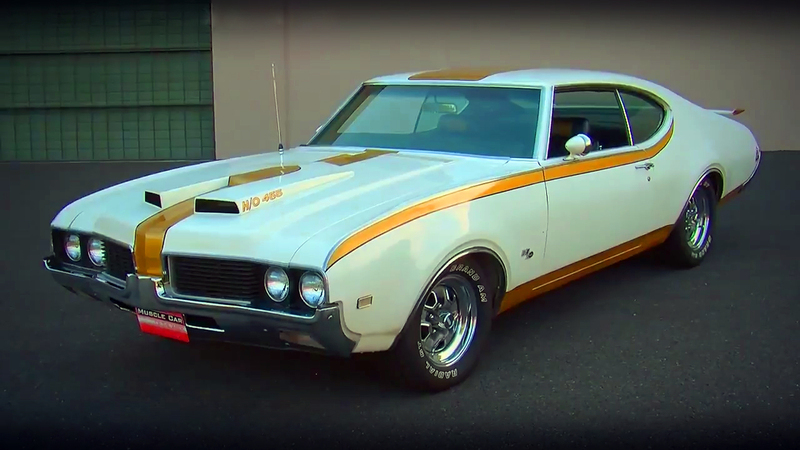 Together with the Buick Riviera they share the same E-platform, which General Motors have put these two American icons at the top of their segment. 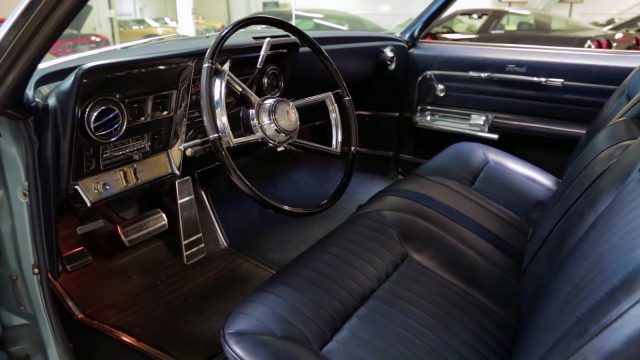 The beautifully shaped body and high luxurious interior make this Toronado still highly valuable after 50 years. 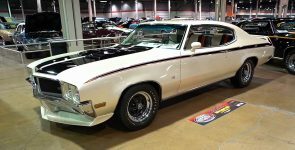 The Toronado belongs to a full size muscle car class, and we could say it is more like a yacht on wheels because of the exquisite comfortable ride and his luxurious interior. 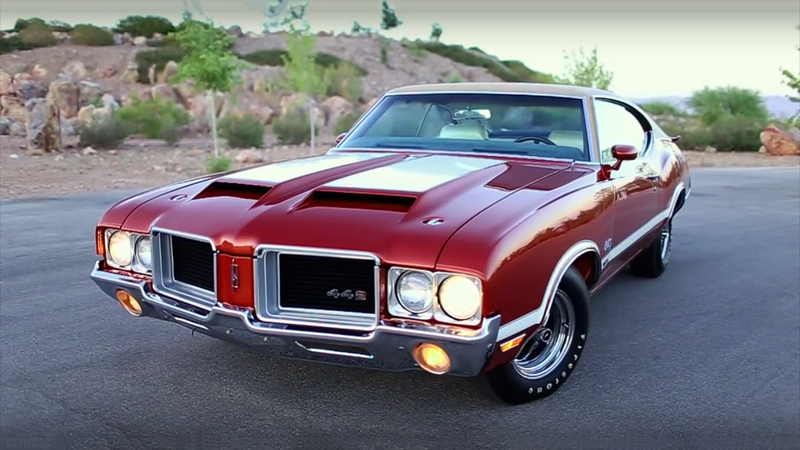 However, it is powered by a dissent powerplant, which makes this Olds even more desirable. ﻿ General Motors had decided to power this 1966 Oldsmobile Toronado with a 425 cubic-inch, 7.0-liter big-block Rocket V8 engine. 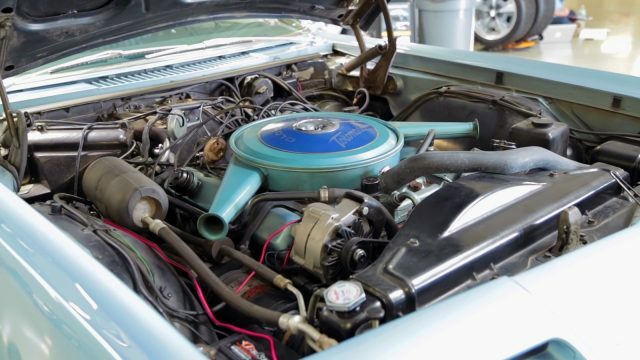 With a Rochester Quadrajet four-barrel carburetor the power unit generates 385 horsepower and 475 lb.-ft. of torque. The power is transferred to the road via 3-speed TH-425 automatic transmission system through the front wheels.